Planning your journey with learning clinical English and you don’t know how to start? We teach our students using these great books. Check out if they are available in your veterinary faculty’s libraries (they are available at Warsaw University of Life Sciences). If not, ask your Dean or Librarian to order them! 🙂 If they are too expensive there is rental option. 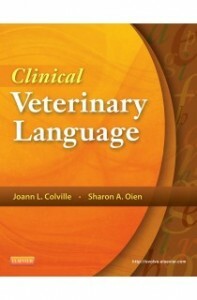 First position is Clinical Veterinary Language by Joann Colville by Elsevier. You can order this book here: https://evolve.elsevier.com/cs/product/9780323096027?role=student This is our favourite position and we use it a lot! Second book that we strongly recommend is Saunders Comprehensive Veterinary Dictionary, 4th Edition by Virginia P. Studdert. 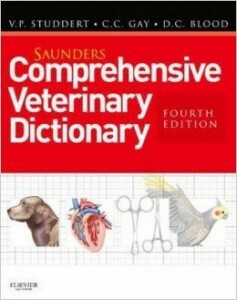 You can order it here: http://www.amazon.com/Saunders-Comprehensive-Veterinary-Dictionary-4e/dp/0702047430 Don’t use Google Translator – you will forget the meaning soon. If you force yourself to check in the paper dictionary you will remember the word quickly! We definitely recommend them as comprehensive textbooks for Veterinary English. But always remember – speaking is the most important part so enroll into veterinary conversations and use them in practice!